Secure your cutlery with one easy pull. No more cutting, taping or gluing. Outrageously cute. Outrageously simple. 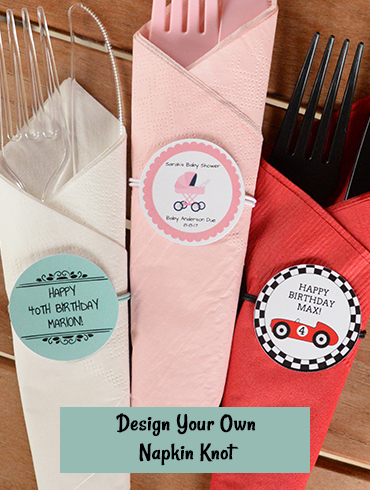 Design Your Own Napkin Knot or customize our template designs. Let our designers create the perfect Napkin Knot for your event. CONTACT US via email to get your party started! 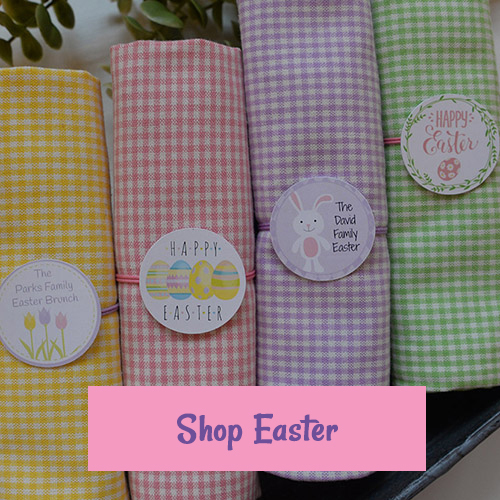 Celebrate Easter with colorful and thematic Napkin Rings. 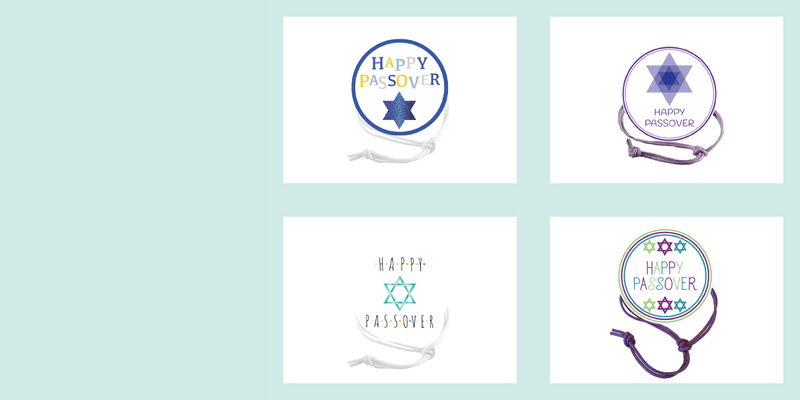 Make your gathering more thematic with our Passover Napkin Knots. Customize our designs for the grad in your house. Customize our monogram designs for your wedding shower or reception table. 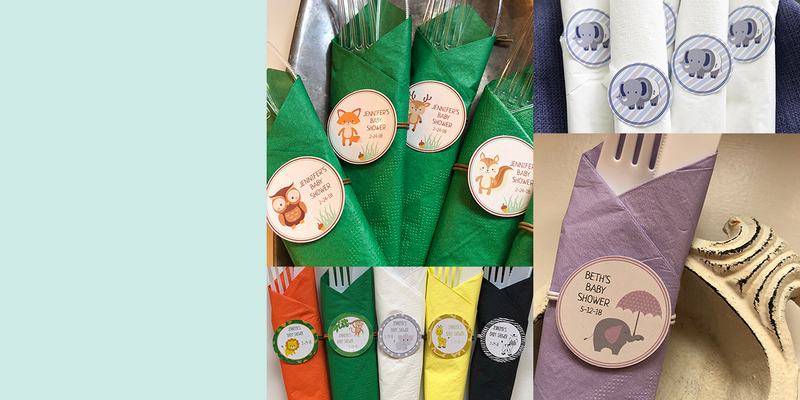 Check out our thematic Baby Shower napkin knots or we can design one just for you! For your Baptism, First Communion or Confirmation celebration. Custom designs available. 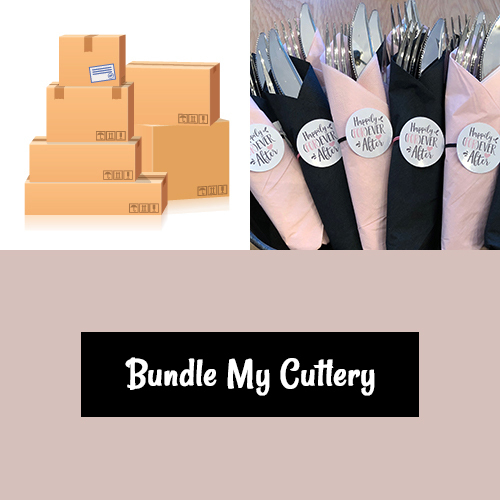 Add "Bundle My Cutlery" to your order. 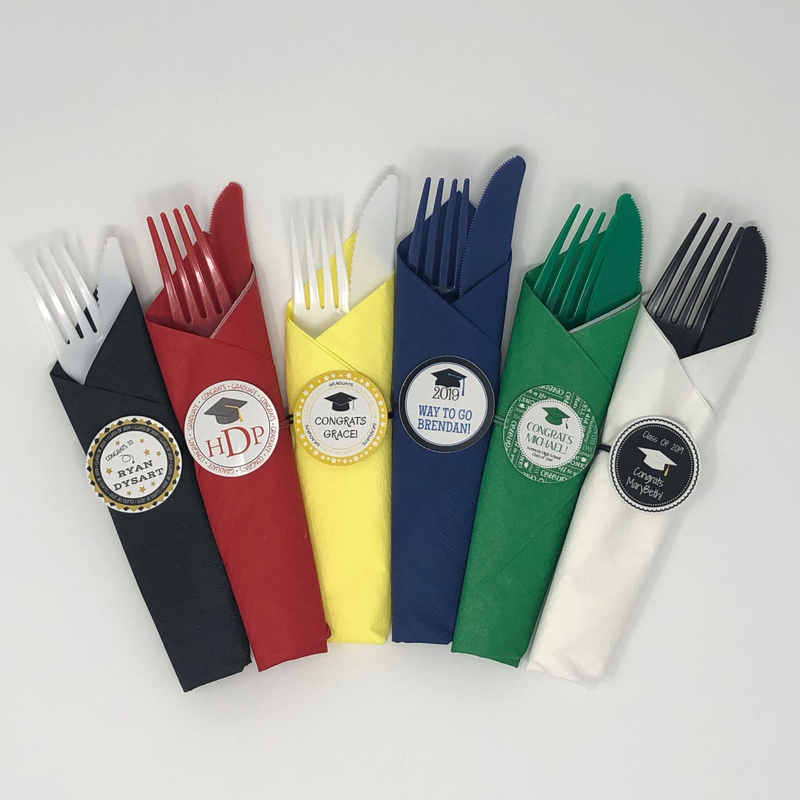 Choose from a variety of napkin and plastic cutlery options. Napkin Knots are easy to use and make your table more festive. 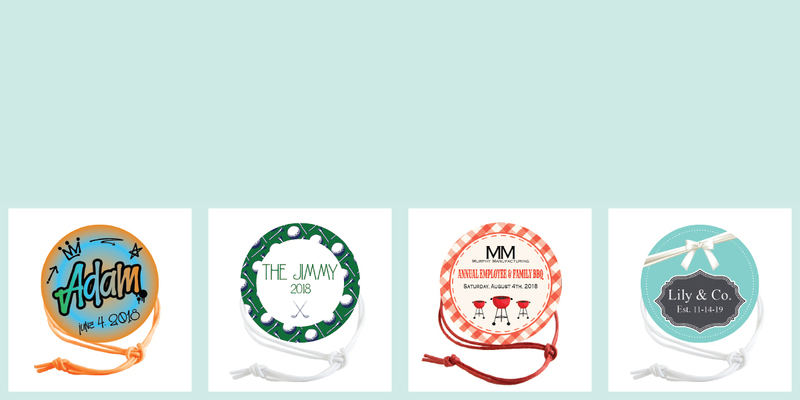 Choose from our selection of designs, customize a template or create your own Napkin Knot.